Thulium (pronounced /ˈθjuːliəm/) is a chemical element that has the symbol Tm and atomic number 69. It is a lanthanide element. 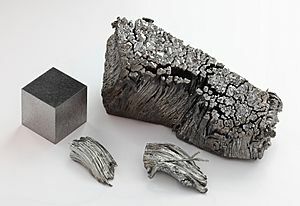 Thulium Facts for Kids. Kiddle Encyclopedia.